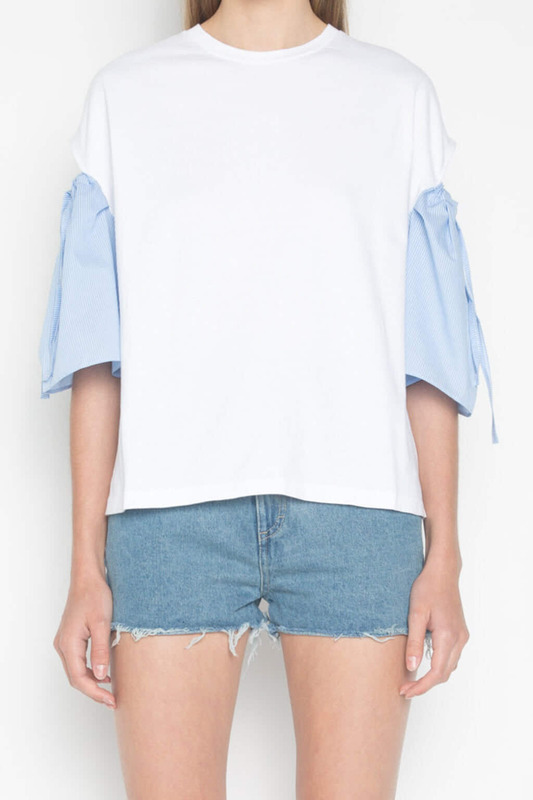 Minimal yet detailed, this jersey t-shirt features cut out shoulders with striped sleeves featuring bow ties for a subtle feminine touch. The relaxed fit with the refined details give this piece a casual yet elegant look. Pair with high-waisted shorts and sneakers for a cute and casual everyday look. 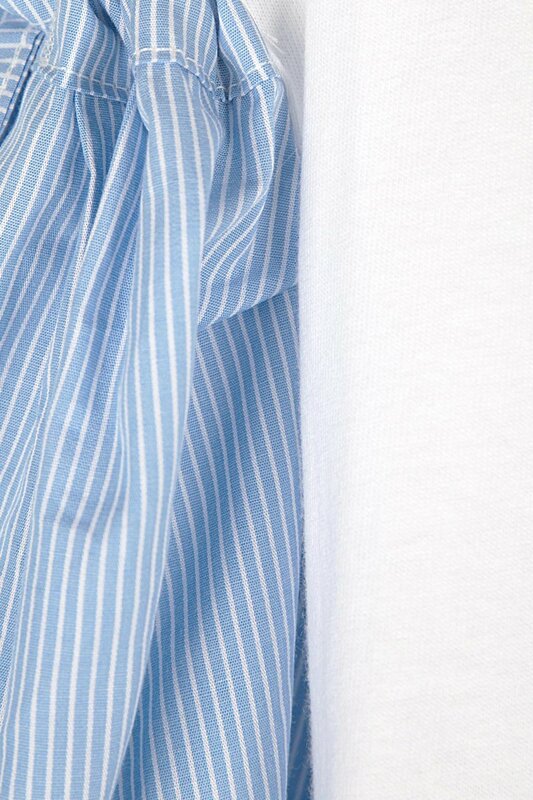 Fabric Content: 100% Cotton Care Instructions: Machine wash cold, tumble dry low, or lay flat to dry. Cool iron.